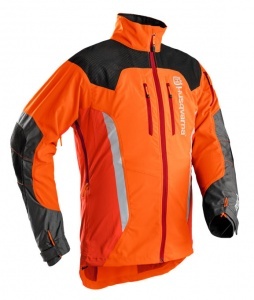 A great jacket to help make hard work in difficult conditions easier & more comfortable. Made with lightweight and breathable fabric, Husqvarna's Technical Extreme Forest Jacket has been designed for the toughest conditions. It has ventilation openings to the yoke and lower back so you can remain cool while working. To increase your range of movement, the elbows are pre-bent, while safety is also considered thanks to the high visibility fabrics and reflex bands.